Blowout Sale! 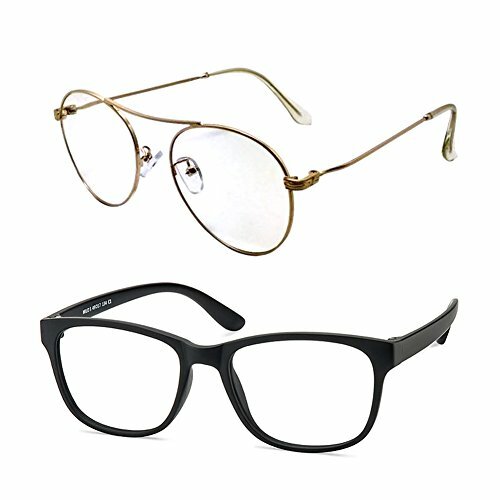 Save 55% on the Computer Glasses/Blue Light Blocking Glasses,Filter UV420,Photochromic Lens,Anti-Eyestrain,2pais/pack(Sky_Golden&Milo) by VisionGlobal at Home Entertainment Centers Online. Hurry! Limited time offer. Offer valid only while supplies last. [Lens]:made by essilor holding company,VisionGlobal aspheric lens can cut approximate 85% of the blue light,reduce eyestrain and headache,give you a better sleep,and sky_golden photochromic lens can auto adjust color under the ultraviolet ray,lens color will become black [Notice]: This glasses is without magnification and prescription. [Frame]:sky_golden is metal frame,milo is Germany's bayer plastic frame,very lightweight,we promise no harm to faceskin.size refer to the picture. [Lifetime Warranty]:You can return the defective products for repairing or exchanging for free at any time without any question. (Notice:not including man-made damage). If you have any questions about this product by VisionGlobal, contact us by completing and submitting the form below. If you are looking for a specif part number, please include it with your message.